We believe that successful logistics and person-to-person communication go hand in hand. We are open, honest and deliver on our promises. We don’t hide behind complicated jargon, we deliver a simple and flexible service that works for your business. With over 20 years of experience in logistics and distribution, trust our team to handle your delivery and freight requirements. Our drivers are trained to handle all logistic requirements, including ADR consignments and Air Freight deliveries. We deliver what we promise by getting your delivery to its destination on time and taking care of your stock in our warehouse. Our fleet ranges in size, from small vans to 44 tonne articulated vehicles, all of them kept pristine to enhance their performance. We’re proud of our history and the experience it gives us. 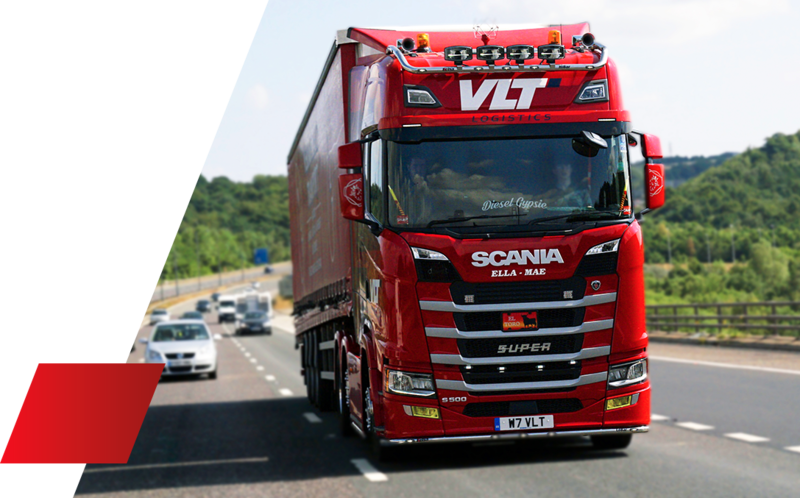 VLT Logistics has grown in size but still remains a family run business at heart. We know the importance of tracking your products and where they are. You need to keep an eye on deliveries, ETAs, monitor stock levels and easily book in jobs. We’re committed to making your job easier. At VLT Logistics the customer always comes first. We give you access to every part of our business, meaning you can speak to any member of our team at any time on the status of your logistics. Our drivers are encouraged to live by the values of our business, and understand the importance of giving each product the care and attention you deserve, and ultimately retaining your trust. Our technology is what makes our fleet and warehousing systems so efficient. We continually invest in the latest distribution and warehousing technology, including state-of-the-art satellite tracking and RF stock management systems, to ensure booking a job with our team is as easy as it can be and you can track your job from start to finish. With over 20 years of hard work and determination our business has grown from a one-man-and-a-van business to the impressive fleet it is today. VLT Logistics roots lie in family values. Established in 1996 by Vernon Land the business started with one man and one 7.5 tonne curtain sided vehicle driving the length and breadth of the UK. We are always on the lookout for experienced and motivated Class 1 and Class 2 drivers to join our rapidly expanding team. If you think you could be part of the VLT Logistics Family follow the link below to find out more about our available positions.